In 1975, Bowie released the song “Fame” and the album Young Americans, which he described as “plastic soul” before releasing the minimalist album Low in 1977-the first of three collaborations with Brian Eno called The Berlin Trilogy. Bowie’s next hit was Ashes to Ashes in1980 from the album Scary Monsters( and Super Creeps) and Under Pressure with Queen. Then In 1983 he released the album Let’s Dance. throughout the 1980’s 90’s and 2000’s Bowie continued to experiment with new styles, and this continual reinvention, music innovation and Striking visual presentation has helped Bowie remain awesome. In 2003 he released the album Reality then to celebrate his 66th birthday in 2013 he released His 30th, album The Next Day, and also released a career spanning retrospective entitled Nothing Has Changed in 2014. Bowie’s latest album “Blackstar” was released 8th January 2016 to coincide with his birthday. David Bowie’s contribution to music has been immense he has influenced the course of popular music several times and inspired several generations of musicians. His promotional videos in the 1970s and 80s are regarded as ground-breaking, as are his theatrical live concerts. 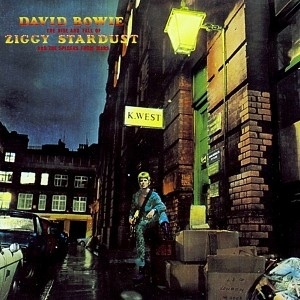 In the BBC’s 2002 poll of the 100 Greatest Britons, Bowie was placed at number 29 In the UK, he has been awarded nine Platinum album certifications, 11 Gold and eight Silver, and in the US, five Platinum and seven Gold certifications and In 2004, Rolling Stone ranked him 39th on their list of the “100 Greatest Artists of All Time”, and 23rd on their list of the best singers of all-time. 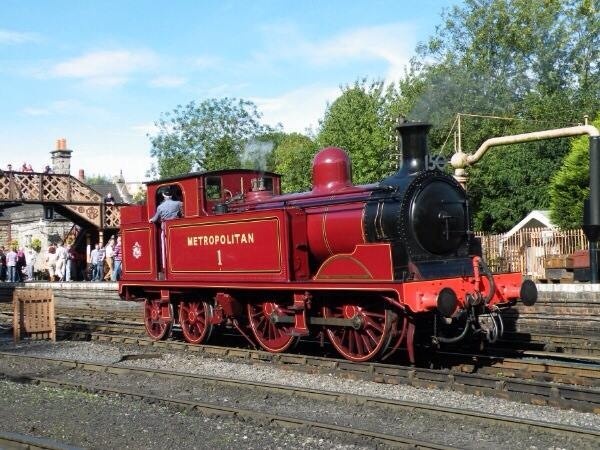 The Metropolitan Railway (also known as the Met opened on 10January 1863 between Farringdon Station and London Paddington Station. It served London from 1863 to 1933, its main line heading north-west from the capital’s financial heart in the City to what were to become the Middlesex suburbs. Its first line connected the main-line railway termini at Paddington, Euston, and King’s Cross to the City. The first section was built beneath the New Road using the “cut-and-cover” method between Paddington and King’s Cross and in tunnel and cuttings beside Farringdon Road from King’s Cross to near Smithfield, near the City. It opened to the public on 10 January 1863 with gas-lit wooden carriages hauled by steam locomotives, the world’s first passenger-carrying designated underground railway. The line was soon extended from both ends, and northwards via a branch from Baker Street. It reached Hammersmith in 1864, Richmond in 1877 and completed the Inner Circle in 1884, but the most important route was the line north into the Middlesex countryside, where it stimulated the development of new suburbs. Harrow was reached in 1880, and the line eventually extended to Verney Junction in Buckinghamshire, more than 50 miles (80 kilometres) from Baker Street and the centre of London. Electric traction was introduced in 1905 and by 1907 electric multiple units operated most of the services, though electrification of outlying sections did not occur until decades later. Unlike other railway companies in the London area, the Met developed land for housing, and after World War I promoted housing estates near the railway using the “Metro-land” brand. On 1 July 1933, the Met was amalgamated with the Underground Electric Railways Company of London and the capital’s tramway and bus operators to form the London Passenger Transport Board. Former Met tracks and stations are used by the London Underground’s Metropolitan, Circle, District, Hammersmith & City, Piccadilly, and Jubilee lines, and by Chiltern Railways. 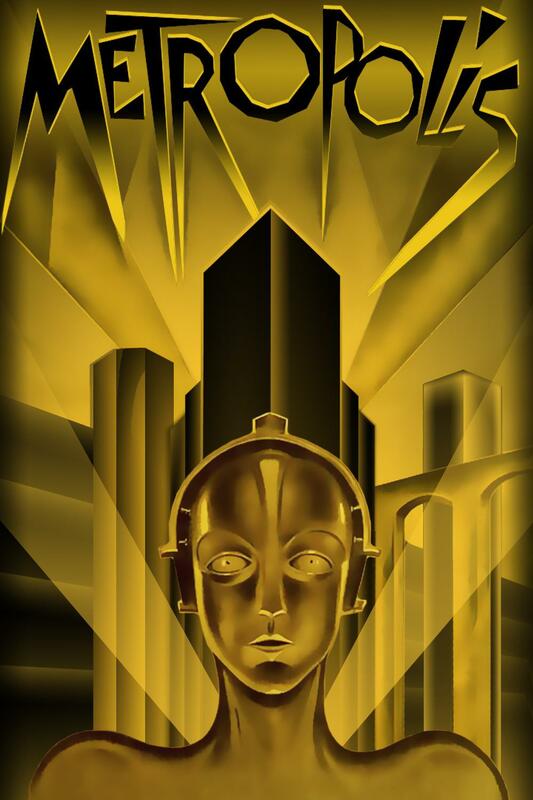 The epic Science Fiction film Metropolis was released 10 January 1927. It Was directed by Fritz Lang and is set in a futuristic urban dystopia, run by wealthy industrialists from high-rise tower complexes, while a lower class of underground-dwelling workers work in terrible conditions to supply power to the homes of the mega rich. The Master of Metropolis is the ruthless Joh Fredersen, whose wealthy son Freder idles away his time in a pleasure garden with the other children of the rich until he meets Maria, a poor worker, who lives underground. Whilst exploring the machine Rooms Feder witnesses an industrial accident when one of the workers collapses from exhaustion causing an explosion. He then meets Josephat (Frederson’s Sacked Assistant) and returns to the machine rooms, where he swaps places with a worker and learns of a secret meeting. He also finds a coded map showing a network of ancient catacombs beneath Metropolis, Joh also sees a robot built by the scientist Rotwang. Having seen the attrocious working conditions Freder decides to help Maria bring the working and ruling classes together. However Fredersen and Rotwang conspire to stop them, so Rotwang Kidnaps Maria and The Thin Man (Frederson’s Spy) attempts to bribe and intimidate Josephat into leaving Metropolis. Rotwang then creates a lifelike robot of Maria. This causes chaos throughout Metropolis, driving men to murder out of lust for her and stirring dissent amongst the workers. However the real Maria manages to escape from Rotwang’s house and Frederson learns of Rotwang’s treachery. Meanwhile Freder and Josaphat find the Robot Maria urging the workers to rise up and destroy the machines, and they proceed to destroy the Heart Machine, the central power station for Metropolis, causing carnage. Meanwhile Freder has a deadly encounter with Rotwang whilst trying to rescue Maria. Numerous attempts have been made to restore the film in the 1970s-80s and Music producer Giorgio Moroder released a version with a soundtrack by rock artists such as Freddie Mercury, Loverboy, and Adam Ant in 1984. A new reconstruction of Metropolis was shown at the Berlin Film Festival in 2001, and the film was inscribed on UNESCO’s Memory of the World Register in the same year. In 2008, a damaged print of Lang’s original cut of the film was found in a museum in Argentina. After a long restoration process, the film was 95% restored and shown on large screens in Berlin and Frankfurt simultaneously on 12 February 2010.